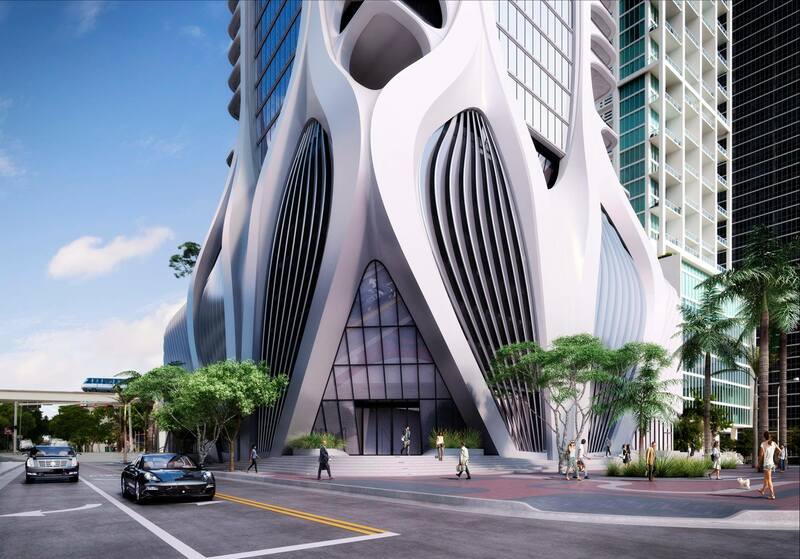 More than half of units at Zaha Hadid’s One Thousand Museum are now in contract, according to broker Miami Condo Investments. The developers of the project received a boost this past weekend when two contracts were signed. The least expensive units now start at $5.5 million, or above $1,200 per square foot. Of the eight full-floor units available in the project (sized at nearly 10,000 square feet), six have been sold. The remaining two are priced just below $17.5M and $20M. This building will become iconic. Other than a “broker” has anyone else corroborated this assertion? And anonymous, I agree; I take Broker assertion’s with a grain of salt. It seems that there is always people who want these projects to fail. Is it because you cannot afford to live there? or that you just hate rich people? This building will be iconic and a few selected people in the planet will be able to call it their home, second home, or vacation home. Either way the building will sell out. No, there are people with their feet on the ground who want to damper the Pom-pom crowd. This project may actually succeed, but I would be highly suspicious of “broker assertions” and The Next Miami’ crudility only gives the developer more credibility which they will use in their sales presentations. Double checking sources vs printing press releases is the basic foundation for credibility. Carry on. So, you think this project “may or may not succeed and you’re still “highly suspicious of “broker assertions” and The Next Miami’ crudility?” Why? I would think the buyers who have the deep pockets for such luxury condos as these would possess more business savvy than what you’re giving them and therefore aren’t relying on the persuasion of real estate brokers and TNM when making their decisions on where and what to buy.